Summer is over. Vacation, lazy days and outdoor games are out of your life. Now is the time to get ready for the back-to-school season. It’s time to review your finances and be ready for the educational expenses. Just remember one point, you have to consider a lot of things this time. The first half of the year is over. The second half is still there. So you have to plan your expenses carefully. The holiday season will begin from October and end in January. You can’t spend all your money in the back-to-school season only. 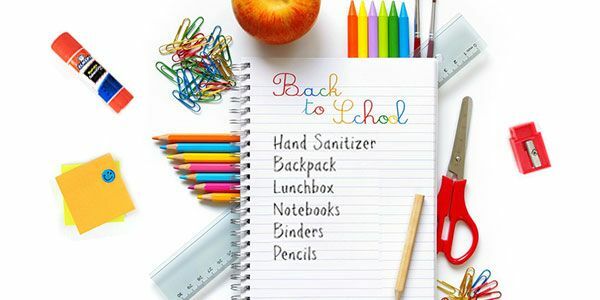 Here’s a checklist you can use to survive the back-to-school season and the rest of the year comfortably. Do you know what you need to buy before sending your kids to school? Have a talk with the teachers and your kids. Prepare a back-to-school shopping list so that you can buy the right stuff at a low price. The list is not finished. You have to think about the dorm furnishings and supplies as well. The list will be something like this for the college kids. These are the days when you don’t have to pay tax on selective items like clothes, school supplies, backpacks, computers, footwear, etc. You can get the tax-free days in the months of July and August. Have you checked out the tax-free weekend in your state? If not, then just type ‘back-to-school tax free weekend’ and give the state name. Your job is done. This doesn’t have a direct connection to the back-to-school season. But it’s significance can’t be ignored either. Six months are over. This is the time to look at your credit report and find out if there are suspicious items. Identity thieves can use your information to make money fraudulently. If the amount of debt has not been reported correctly, then it’s time to rectify the error. Don’t forget that you can lose a hefty amount if you don’t take prompt action. Additional expenses will increase your debt burden in the back-to-school season and the festive season. You’ll need these codes at the time of buying back-to-school supplies online. Look at the coupons in your Sunday newspaper. You can also visit websites like RetailMeNot where these is a separate section consisting back-to-school coupon codes. July is an important month in the calendar - not just because this is the back-to-school time. This is also the month which begins the second-half of the year. This is the time to look at your finances and find out if you have achieved your short-term goals. If not, then it’s time to think about the ways to attain your goals. I don’t know if the fifth one is possible instantly. You need to check out the existing mortgage rate if you’re considering refinancing. In the case of insurance, find out if you have more coverage than what you need. If you’re overpaying on your insurance, then change your insurer and grab a better deal. If you have extra money, don’t spend the entire amount on back-to-school expenses. Set aside an amount for your retirement contributions and charitable donations since they will help you cut down your taxable income. Contribute more towards 401(k) s retirement savings plan if you haven’t crossed the maximum limit. The school is back in session. It’s time to forget sunny days in the beach and be prepared financially. It’s time to make financial moves that will help to keep your bank account in a very good condition. Don’t overspend even if your kids demand it. Use your brain instead of your heart. Otherwise, you’ll be in trouble once the festive season kicks in. Most people forget about debts at that time of the year and start regretting one the next year arrives. Don’t miss out - Back-to-school - How can you shop successfully and send smart kids? Thank you dad for being the best financial teacher in this world! Should you discuss your financial struggles with your kids?